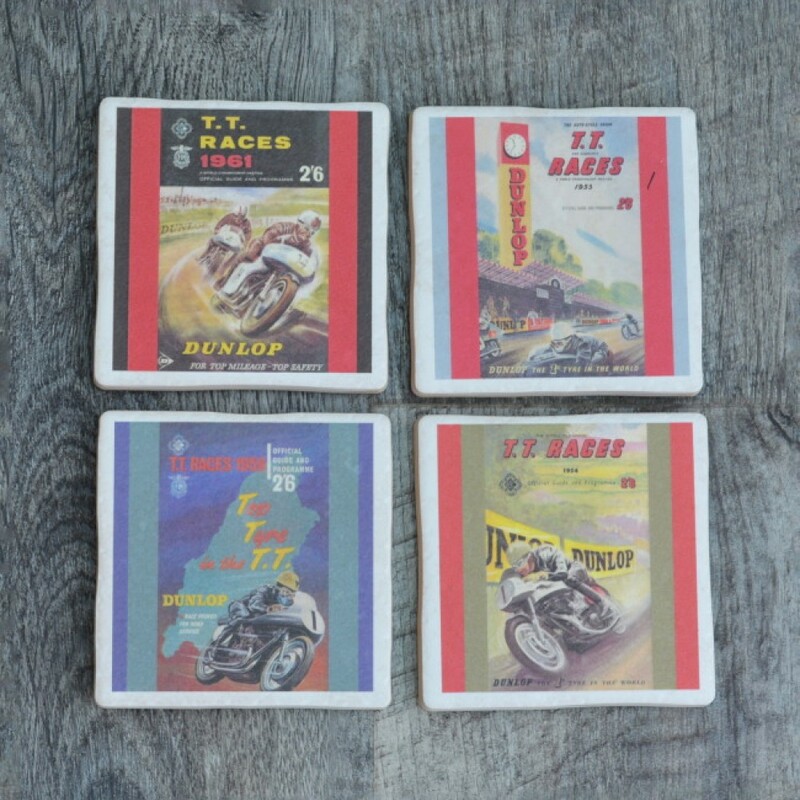 A stylish set of 4 coasters, hand-made in the UK using the finest Italian Porcelain ceramic tiles and depicting classic poster images from the Isle of Man TT races. 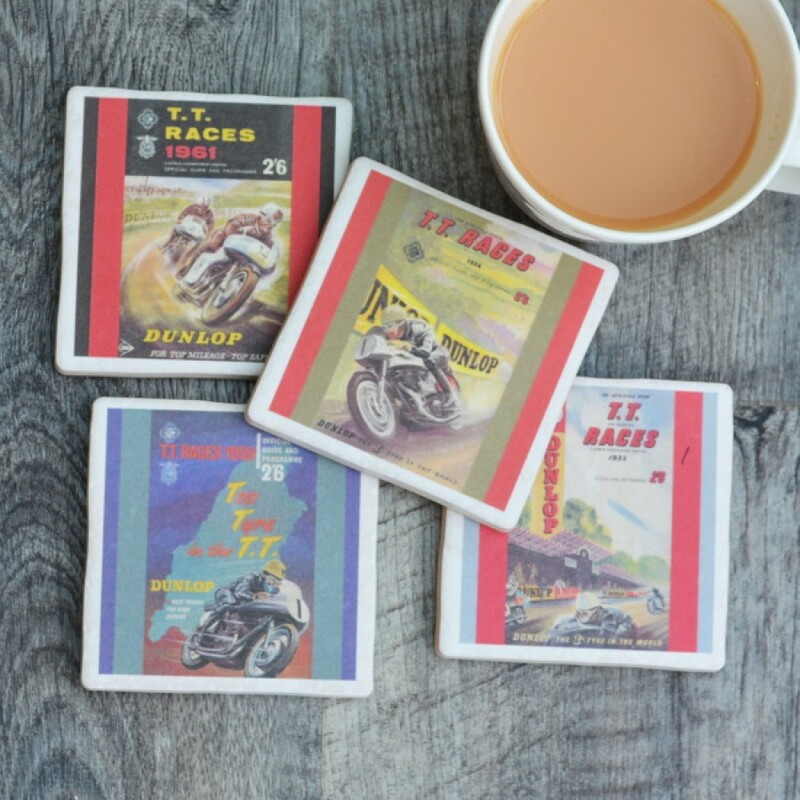 The International Isle of Man TT (Tourist Trophy) race is a motorcycle event held annually on the Isle of Man in May or June of each year since the inaugural race in 1907. 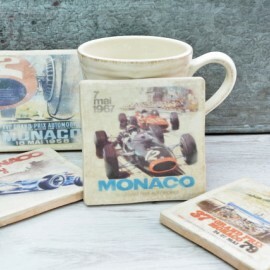 The Isle of Man TT for many years was the most prestigious motorcycle race in the world and also seen as the ultimate test for competitors and machines alike. 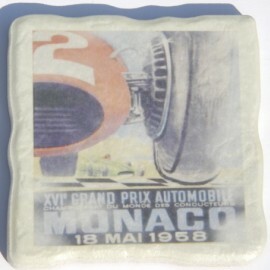 Racing on public roads, closed for the event, it remains a heroic test of man and machine. A great gift for any motorcycling fan.